Barclays Rights Issue - what can investors do? Investors holding Barclays shares at the close of business on 17 September 2013 will be eligible to participate in the Rights Issue. Investors wishing to take up Rights held in a Vantage account must do so by 3.30pm on 30 September 2013. Qualifying shareholders will be entitled to buy one additional Barclays share for every four held, at a price of 185p per share. This represents a discount of almost 40% to the current market price. Investors holding Barclays shares in Vantage will have their Rights added to their account on the morning of 18 September. New shares acquired through the Rights Issue will be added to Vantage accounts on 4 October. Barclays shareholders have four options: take up the rights, tail swallowing, sell the rights or doing nothing. 1. Take up the Rights: Barclays shareholders can convert the Rights into ordinary shares at a cost of 185p per share. For example, investors holding 400 Barclays shares will be entitled to 100 shares. At 185p per share, it would cost £185 to convert 100 Rights into 100 ordinary shares. Taking up the Rights would give a new holding of 500 ordinary shares. 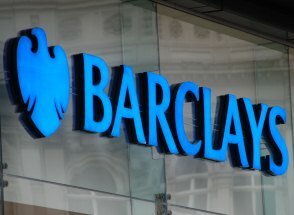 How many Barclays shares do you hold? Online: Simply log in online and click on the account in which you hold your Barclays PLC shares. Then select the Corporate Actions icon alongside your Barclays PLC Rights and follow the instructions provided to sell or take up all of your Rights. Post: Return our Rights Issue form which we will send to you. Phone: call our Investment Helpdesk on 0117 980 9890. Please note to partially take your Rights you must use the postal form or call us on 0117 980 9890. 2. Tail swallowing: Shareholders also have the option to 'tail swallow'. This involves selling enough of the Rights to cover the cost of taking up the remainder. Using the above example and assuming Barclays shares were trading at 300p, 100 Rights would be worth 115p each (300p minus 185p). Shareholders could therefore sell 65 Rights to generate £74.75, after our £10 flat rate commission charge you would be left with £64.75, enough to take up 35 Rights without investing any further cash. 3. Sell your rights: Investors' can simply sell their Rights as they would any other share. The value of the Rights will depend on the prevailing Barclays share price. For example if Barclays shares are trading at 300p per share, the rights will have a market value of approximately 115p each. Hargreaves Lansdown charges a flat £10 fee for investors wishing to sell their Rights. Investors who sell their Rights will have the proceeds credited to their account shortly after they are sold. 4. Take no action: the offer will lapse at 3.30pm on 30 September for investors holding their Rights in Vantage. If the Barclays ordinary share price is below the offer price of 185p, the rights will expire worthless. If however, Barclays share price is above 185p then you may receive a cash payment per Right approximately equal to the Barclays share price less the offer price. For more information relating to the Barclays Rights Issue, view our Barclays Rights Issue FAQs. Keep up to date with research and announcements on popular shares, including Barclays, direct to your inbox. The Vantage Service offers low cost, user-friendly share dealing and a wide range of investments. Deal from just £5.95 per deal and never pay more than £11.95 online. UK and overseas shares, gilts, corporate bonds, investment trusts and ETFs available to deal online, by phone or by post. Investing in the shares of an individual company is higher risk than buying a fund investing in a range of companies. 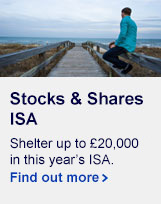 Choice of accounts - Fund & Share Account, ISA or SIPP. Free daily market updates by email. Deal on your mobile with our free app for iPhone and Android™ phones. 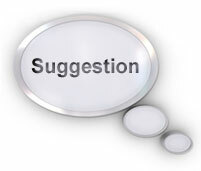 If there's a particular topic or issue you think we should cover in our articles please let us know.